Co-produced by Christopher Nolan and directed by the somewhat audacious blockbuster engineer Zack Snyder, Man of Steel takes Superman (Henry Cavill) back to square one and recalibrates him as a pure-of-heart hero for a new age. It’s a risky move, the implications of which are fully realized in the movie’s tense climax, in which Superman is compelled to act in a way that none of the other prior screen incarnations of the hero would ever have considered. Nolan co-concocted the story line with expert screenwriter David Goyer, and Goyer battles the origin-stories-are-boring problem with a two-pronged approach. The birth of Kal-El and the end of the planet Krypton narrative gets a juicy backstory involving genetic archiving, internecine struggles between warlike factions, and a more pronounced series of confrontations between wise and saintly Jor-El (Russell Crowe) and the once-noble but increasingly power-mad General Zod (Michael Shannon) These scenes are substantially aided by the fact that Krypton is rendered beautifully as the ultimate sci-fi planet. Goyer also keeps things moving via a multiple flashback structure that toggles between the young Clark Kent and the present-day action. Young Kent finds that his enhanced senses can drive him crazy and that his superstrength renders him a freak. Given Nolan’s work on the Dark Knight movies, the notion of a tormented Superman shouldn’t surprise us. But the whole idea of Superman, as conceived by two comic book artists almost a century ago, was rooted in optimism, and to their credit, the creators of the movie don’t forget that; they just make optimism a more difficult place for Kal-El to get to. Surprisingly, in this iteration of the origin story, intrepid reporter Lois Lane (Amy Adams) gets to know a drifting, bearded, do-gooding stranger before she meets the Clark Kent who also works at the Daily Planet. 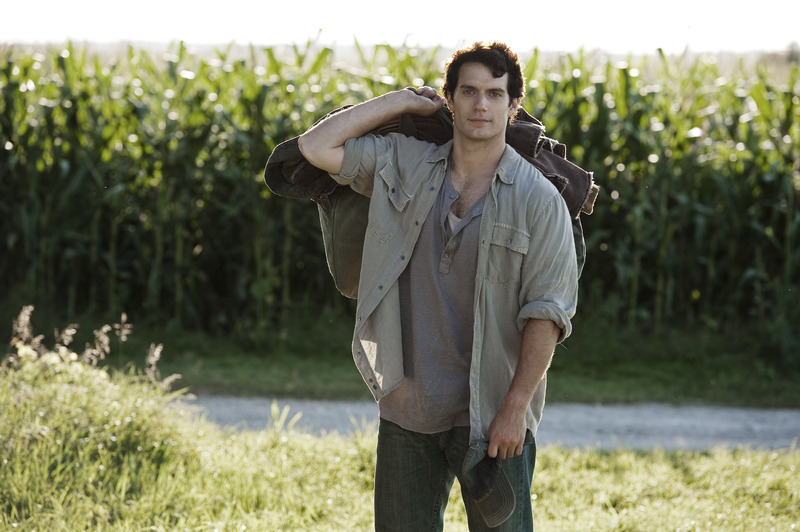 One big digression the movie takes is making Lois privy to Clark’s “secret” right from the get-go. The move not only make sense, but it spares us a lot of silliness down the line. Even though some of the attempts at gravitas don’t work, the movie does make you believe that a flying man in tights is a thing of scary awe and with a superb all-around supporting cast, Man of Steel blasts the archetypal superhero into our uncertain new century in high style, neither selling him out nor making a sap out of him. I, for one, am looking forward to the next installment already. Thanks for your review, again right on the spot time-wise… Iwas thinking if to watch it or not, now I know. The comic-book genre in the movies is a great thing, right…?